Cavalor Dry Feet is designed to be used when the ground is very wet, and your horse is suffering from soft frogs and soles, which are at risk of developing thrush. Cavalor Dry Feet contains substances which will kill the bacteria which are responsible for causing thrush, and dry the frog and sole. Cavalor Dry Feet is not designed for use on Dry feet- it may cause them to become too hard, and crack. 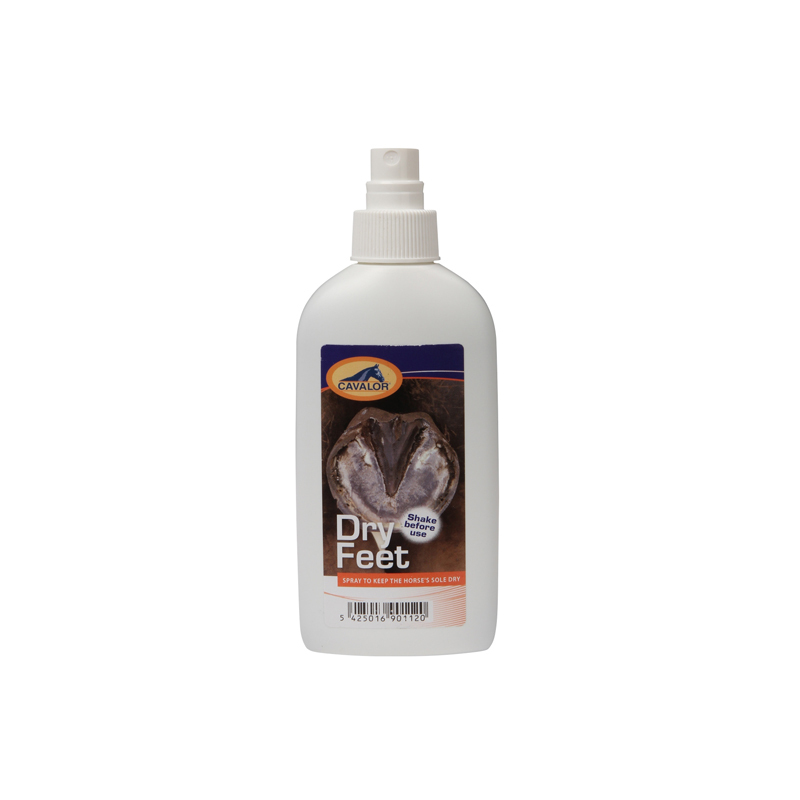 Dosage: Use Cavalor Dry Feet preventively to keep the hoof sole and frog dry (2 times a week), or use Cavalor Dry Feet to treat thrush (1 to 2 times daily for a period of 4 to 5 days).